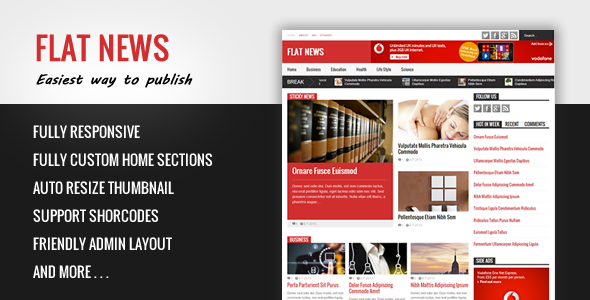 Description: Flat News - Easy News & Magazine Blogger Templates is a news and magazine Blogger template. This template is very easy to work without touch to code. Flat News is 100% responsive and drag-drop to build your own home design.